Home Blog And the people of INDIA wants this…. 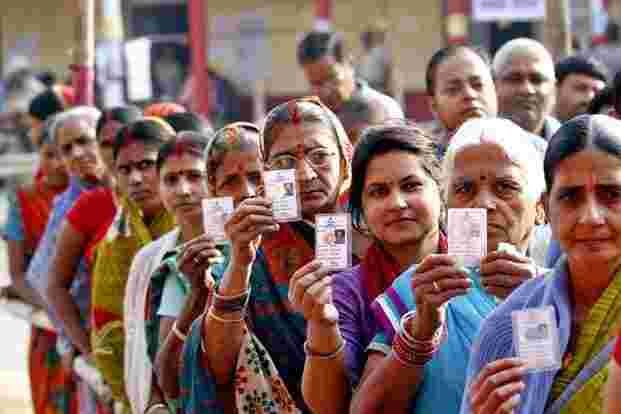 As per All India Survey 2018, Better Employment Opportunities (46.80%), Better Health Care (34.60%) and Drinking Water (30.50%) are the top three voters’ priorities at the all India level, followed by Better Roads (28.34%) and Better Public Transport (27.35%) at the fourth and the fifth place, respectively. Seeds/Fertilsers (25.06%) that was ranked ninth. 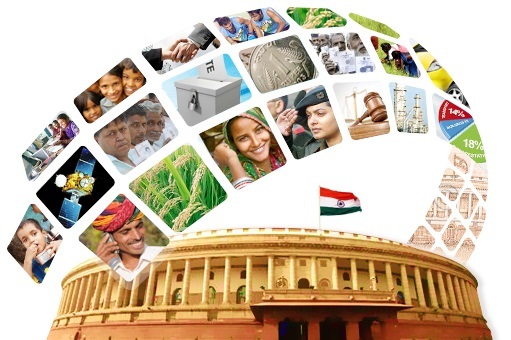 The performance of the government on the top most voters’ priority, Better Employment Opportunities was rated as below average (2.15 on a scale of 5), and ranked sixteenth at all India level. The other top two voters’ priorities, Better Healthcare (2.35) and Drinking Water (2.52) were also rated as below average. Better Healthcare was ranked seventh and Drinking Water was ranked third. It is a matter of serious concern that for none of the 31 listed voters’ priorities, the performance of the government was rated as average or above average. reveals that the top two voters’ priorities (Better Employment Opportunities and Better. Hospitals/Primary Healthcare Centres) have continued to remain at the top. The significance of Better Employment Opportunities as voter’s highest priority has increased by 56.67% from 30% in 2017 to 47% in 2018. At the same time, the performance of the government on this issue declined from 3.17 to 2.15 on a scale of 5. The significance of Better Hospitals/Primary Healthcare Centres as voter’s second highest priority has increased by 40% from 25% in 2017 to 35% in 2018. At the same time, the performance of the government on this issue declined from 3.36 to 2.35. The significance of Drinking Water as voters’ priority has increased by 150% from 12% in 2017 to 30% in 2018. At the same time, the performance of the government on this issue declined from 2.79 to 2.52. The significance of Better Roads as voter’s priority has increased by 100% from 14% in 2017 to 28% in 2018. At the same time, the performance of the government on this issue declined from 3.1 to 2.41. Amongst the 32 states and UTs that were surveyed, in 29 of them, voters have given below average ratings to the government for its performance on all top 3 voters’ priorities at the state level. This is with the exception of Dadra and Nagar Haveli, Daman and Diu and Puducherry. voters’ priority. Drinking Water is the topmost voters’ priority in 3 States/UTs like Odisha, Karnataka and Daman and Diu. the top two priorities. It is interesting to see that Male voters have given the highest ratings (2.59) to the government on the issue of Empowerment of Women and Security, which despite being ranked first is a below average performance. School Education is one of the highest priorities (ranked 13th) for both Male and Female voters; they have rated the performance of the government as extremely low (Male: 1.63 and Female:1.74). The other voters’ priorities on which the government has been ranked exceptionally low by both Male and Female voters are Eradication of Corruption, Lower food prices of consumers, Training for jobs, Terrorism, Strong Defence/Military and Encroachment of Public Land, Lakes etc. 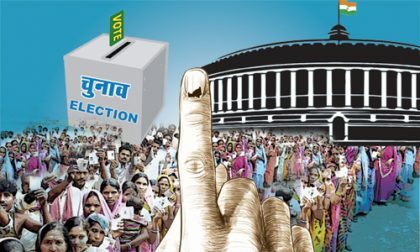 As per All India Survey 2018, 98% of the voters reported that they voted in the last elections. Out of the 2% who declined, a majority of them (38%) disclosed that their name was missing from the electoral roll. 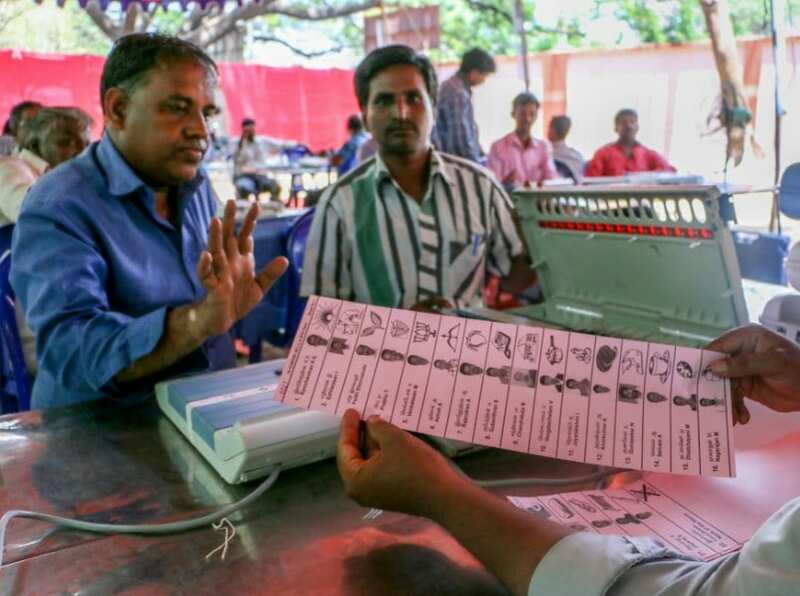 31% of the voters mentioned that they were not registered with the Election Commission of India and 17% of the voters said that they could not vote because they were not in town. Spouse and Family Members mattered the most in deciding the same, respectively. has done good work in the past. Caste and religious considerations are also key factors for 35.23% voters in choosing candidates with criminal records. In the opinion of 34.75% voters, people vote for criminal candidates because they feel that the cases against such candidates are not of serious nature. Another huge factor in voting for criminal candidates was that the candidate has spent generously in elections (34.23%). A large number of voters, 72.97% knew that the distribution of cash, gifts etc. 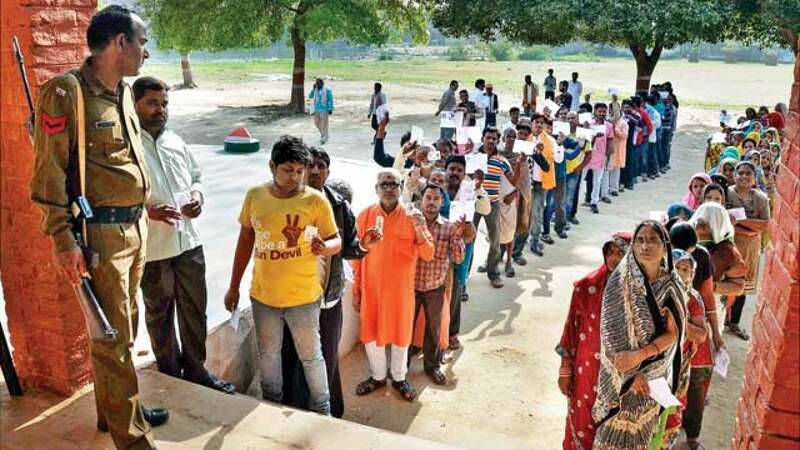 are illegal and 37.25% voters said that they were aware of instances where such inducements were offered to the voters in return for their votes. 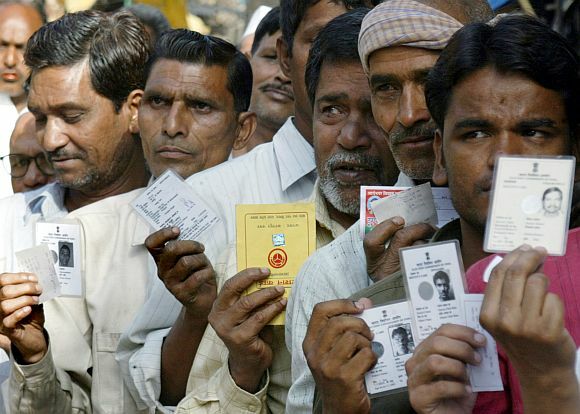 A significant percentage of voters (38.52%) reported that they were facing problems without Aadhaar card.